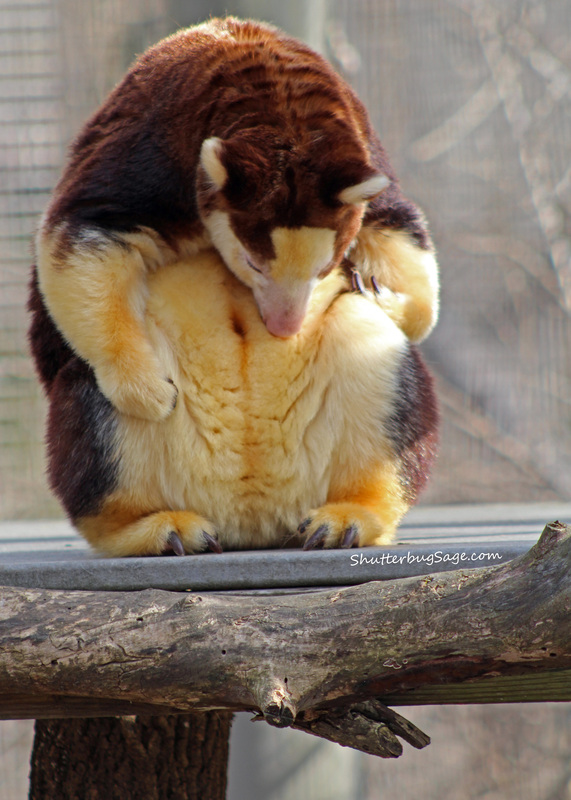 The Kansas City Zoo is set up in sections that focus on the native continents and countries of the animals. Here are some photos from a recent trip “down under” to Australia and New Guinea. 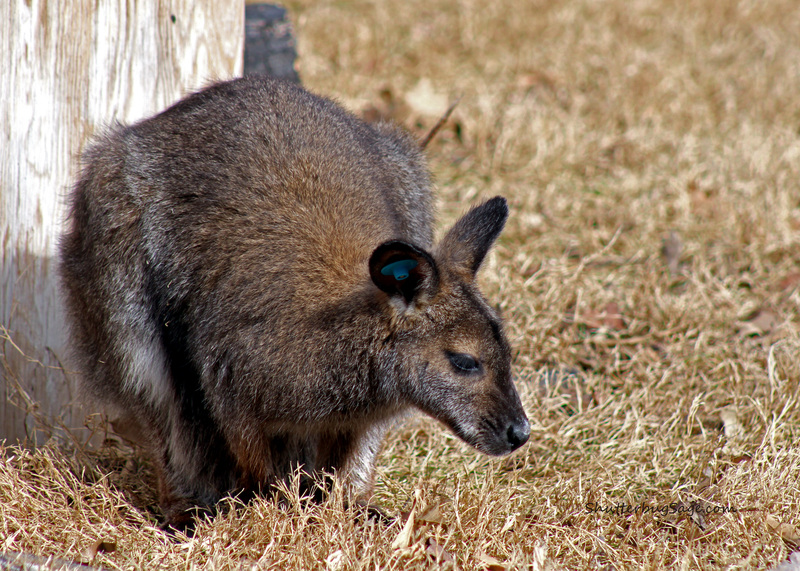 Kangaroos roam freely in the Australia section of the zoo. Usually they hang out in a large, grassy area where they are visible from the walking trail, but don’t necessarily mingle with zoo visitors. If you’re lucky, every once in a while a kangaroo will get close. After squinting at me suspiciously from a reclining position, this ‘roo moved into a standing position to take a better look. 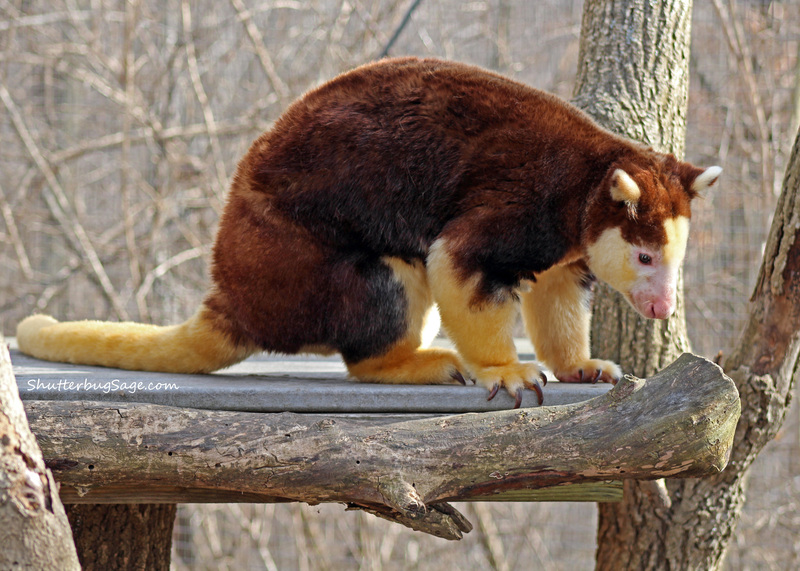 Tree kangaroos have such heavy tails that they lean their bodies far forward when they walk. I wonder if that’s also why they sleep in what appears to be such an odd position. 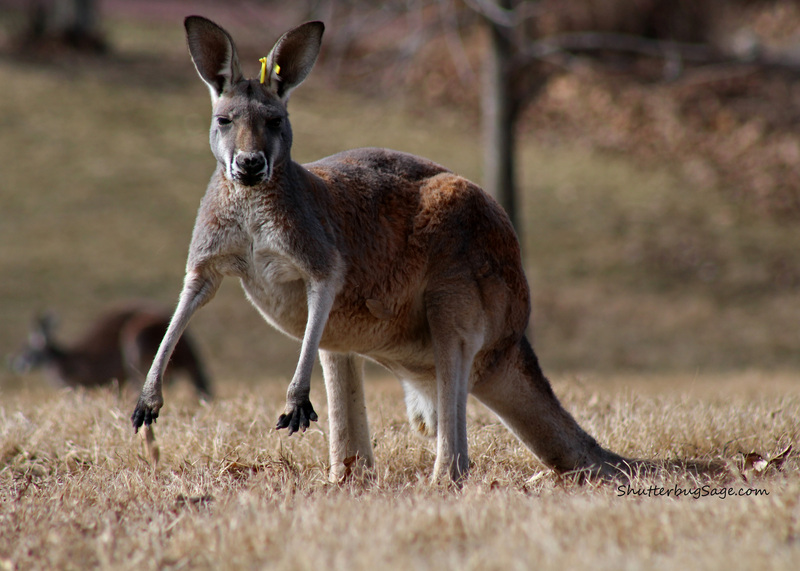 Related to kangaroos, wallabies are much smaller at between 1 1/2 feet to 4 feet in height. This little guy was using his shelter to help block the strong wind on an otherwise fairly nice day (for Kansas City in February).